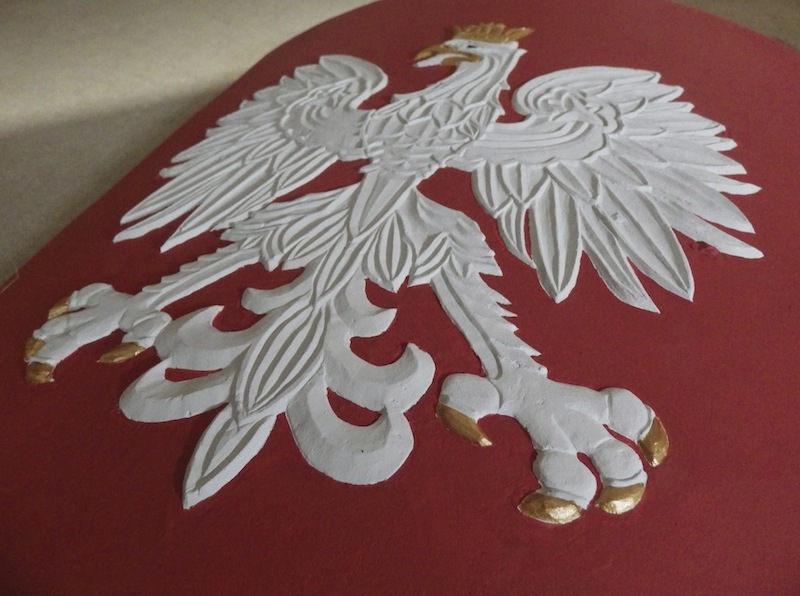 I have for a long time wanted to make a heater shield with a relief carved front panel and recently I had the opportunity to make one and here it is and I hope you like the result. Heater shields it seems, often had arms that were raised as a 3D relief and then painted, giving a very striking effect. 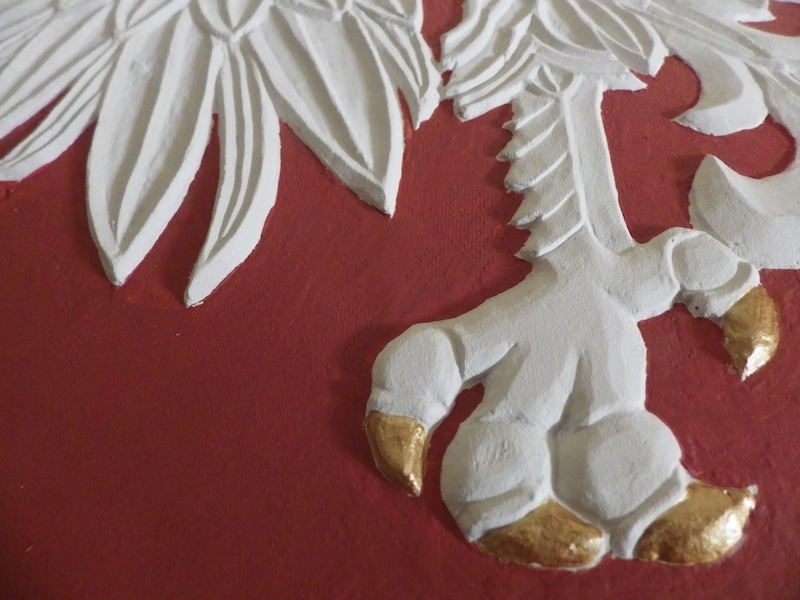 This was done using gesso, a mixture of chalk and animal glue, and sculpted to form. 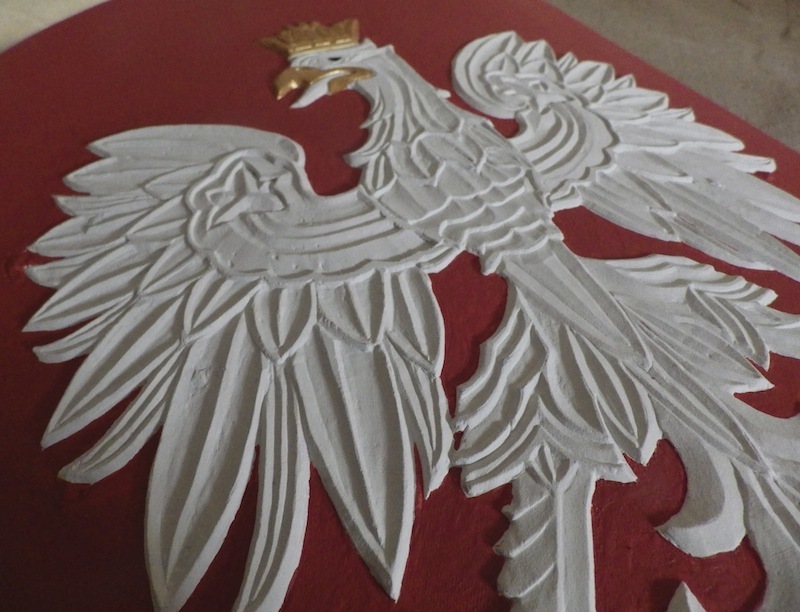 When dry the result is surprisingly tough, though it will still damage if knocked; however if you could afford a shield with this style of decoration then getting it fixed is not likely to be an issue. 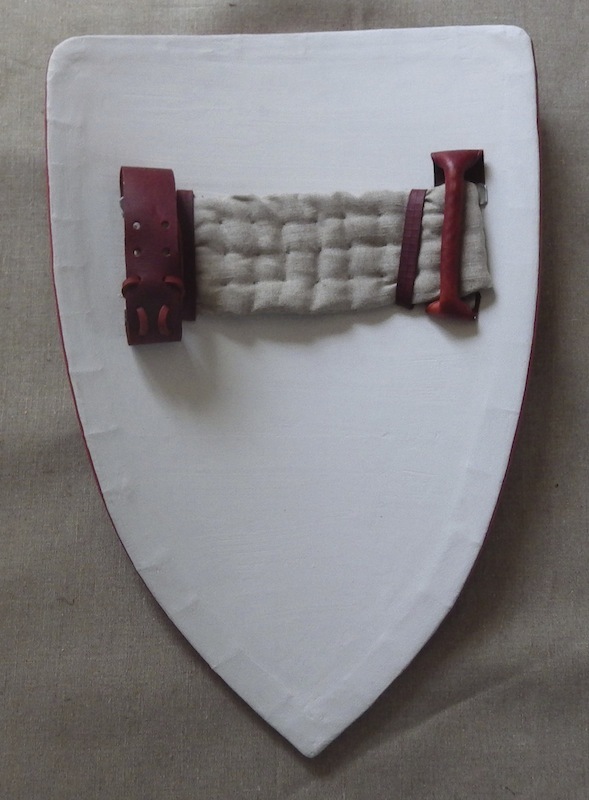 Shields have to be thin enough to carry and wield effectively and so to make then strong enough to be effective, they are covered on the front with cloth or leather and often on the inside as well. 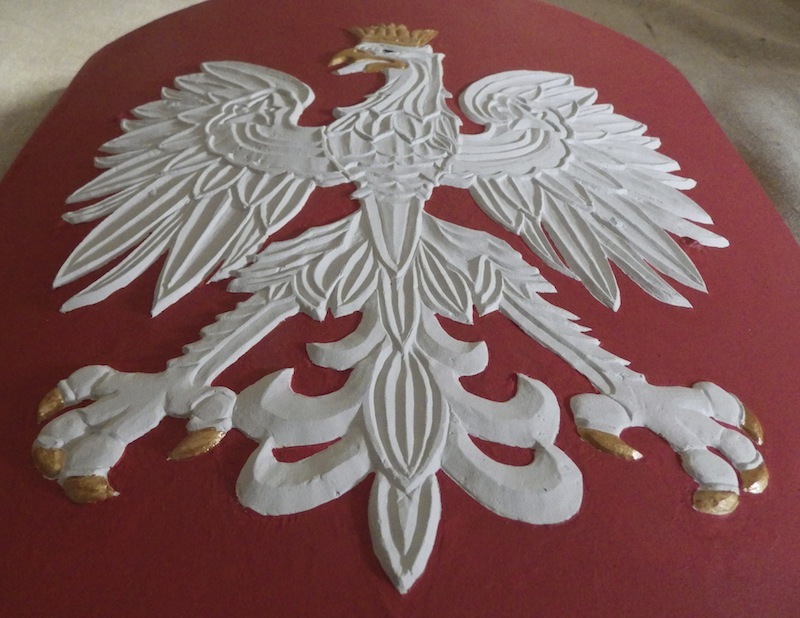 This shield is made from 10mm ply (poplar planks would have been nice, but the budget didn't allow), linen canvas covered inside and out, scraped with gesso, then the eagle is built from gesso and sculpted back. 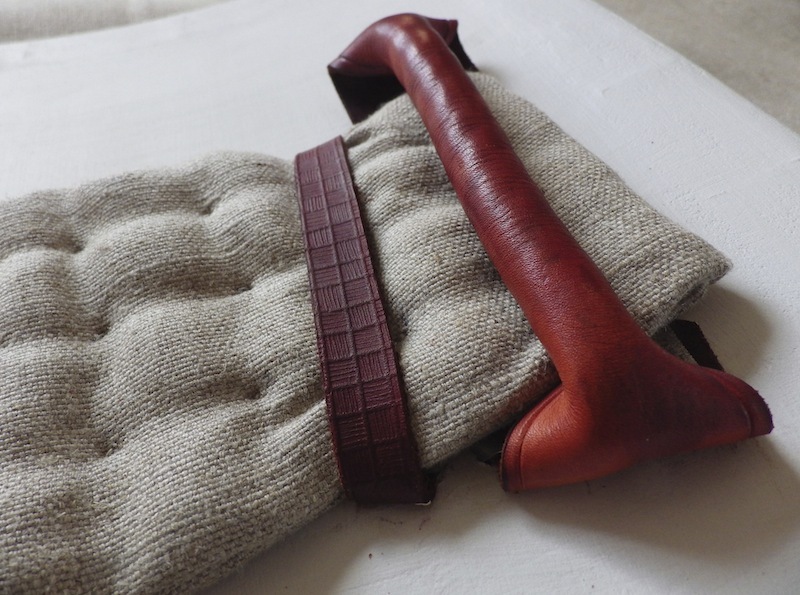 The veg tan strapping is riveted with hand made nails, with the grip sewn around a hemp rope core and the arm pad from quilted linen canvas. Beautiful work Leo, well done. 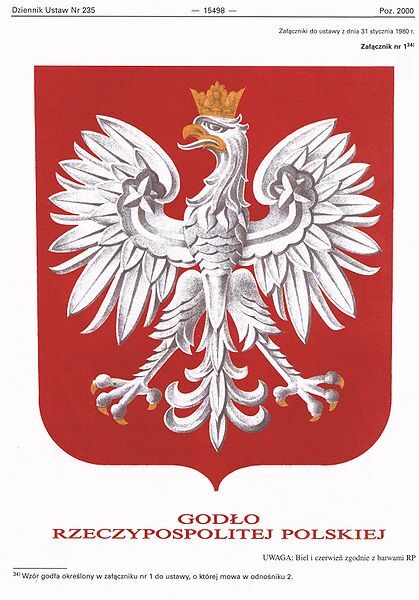 Very nice Polish National Emblem did! Would I be right in thinking carved/embossed leather or repousse sheet metal (copper, possibly?) 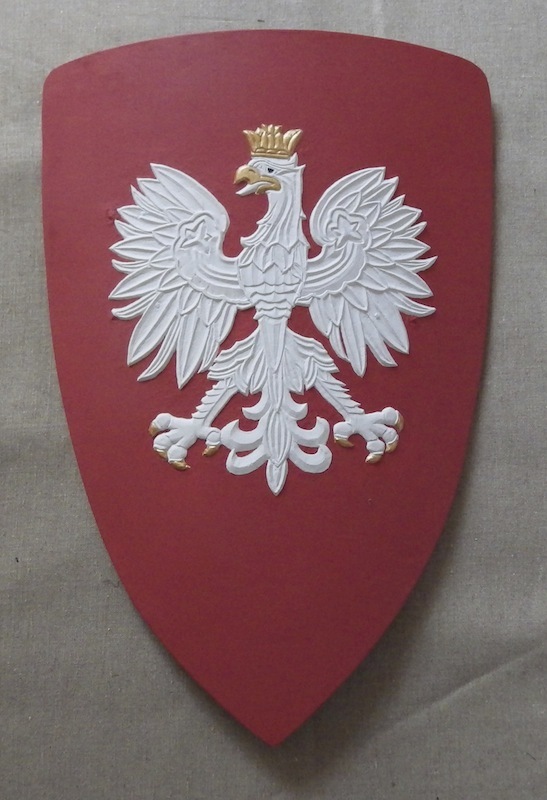 would be a more 'sword resistant' shield applique, maybe even under the linen which is formed over it and then gessoed and painted? 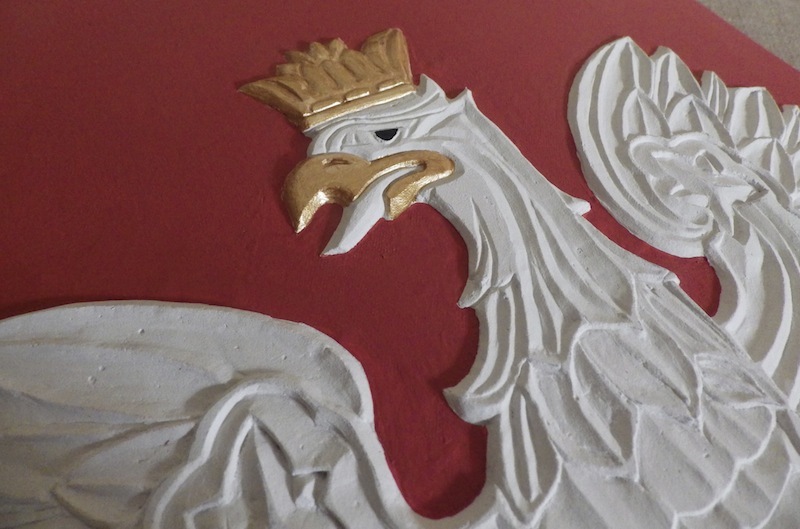 Anyway, I don't think there is enough carved decoration on modern reproductions of medieval artifacts, considering how widespread it was used in period. So for that I doubly like this piece!